With more than 30 years of experience in the securities industry, Steve Stanislav endeavors to provide insightful investment advice with integrity. During his career in the financial services industry, he has helped clients pursue their financial and retirement goals through hard work and a common sense approach to investing. Steve began his career with Dominick and Dominick in 1987 and then moved to a quality regional firm, Ferris, Baker Watts in 1992. In an effort to offer more services to his clients, Steve joined the large global firm of UBS Financial Services in 2000 as a Senior Vice President - Investments. Steve held the position of Fixed Income and Lending Coordinator for the Rockville branch. 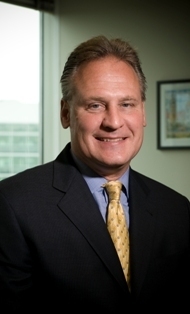 In 2008, Steve joined Wells Fargo Advisors Financial Network and formed Stanislav Asset Management. Raised in the DC area, Steve earned his Bachelor of Arts degree in Financial Management from the Catholic University of America. He has served his community by volunteering at the Rainbow Shelter (woman's homeless shelter) in Rockville and is also a volunteer youth coach for the Rockville Football League. In 2010 and 2012, Steve served on the Catholic University of America Athletic Hall of Fame Committee. He is currently on the Good Counsel High School Presidents Council of Advisors. Steve and his wife Debbie, have four children, Nicole, Jennifer, Rebecca and Steven. When away from the office, Steve enjoys playing golf, boating, exercising, and most importantly spending time with family and friends. Steve was inducted into the Catholic University Athletic Hall of Fame in 2005. Deeply committed to acting in his client's best interest and providing the highest level of professionalism, the members of Stanislav Asset Management work hard to earn and retain each client's trust. Janine has been in the business for 18 years. Her primary responsibilities include managing client services, new accounts and transfers, paperwork for retirement plans and resolving client information requests. Originally from the Baltimore area, Janine has lived in Mt. Airy since 2002. Janine and her husband, Dan, have two daughters, Allie and Maggie. When out of the office, she enjoys traveling and gardening.